Yesterday was a dangerous day to be teasing awesome retro novelty products, but Hyperkin was at it anyway. 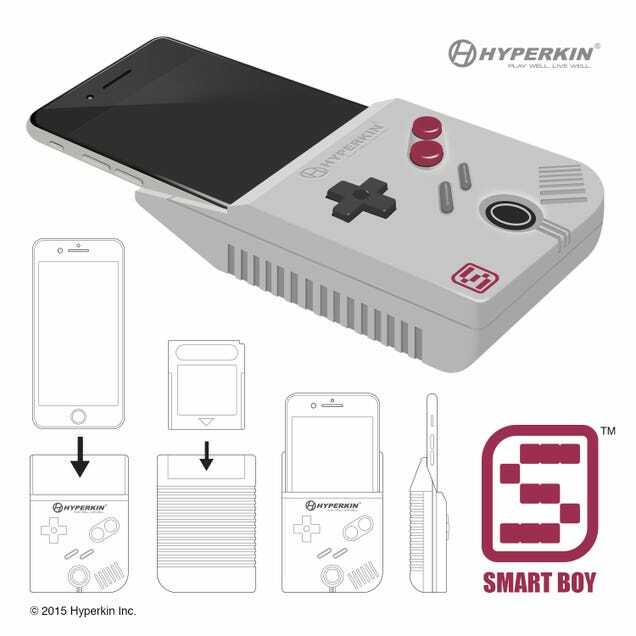 The company just announced that the SmartBoy design concept it posted on Reddit —a special iPhone case that lets you play real, physical GameBoy cartridges on your smartphone—is for real. I’m so happy this isn’t an April fools joke. The image Hyperkin’s Chris Gallizzi teased Reddit with Monday apparently started as an April fools gag, but graduated to “full-fledged project” soon afterwards. Basically, Hyperkin took a page from ThinkGeek’s playbook: testing the waters with a “fake” but realistic product idea. Either way, the SmartBoy is familiar ground for the company: Hyperkin’s Retron5 game console also used a mixture of emulation and physical cartridge ports. The current concept is designed around the iPhone, but Gallizzi told Reddit that’ll change: “We’re working on an open side-panel version for Android phones” that should fit most major flagships.